Upload and analyse your History, or create and explore tracks using MagellanCyclo. 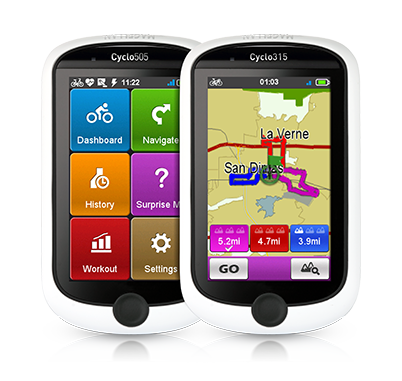 Connect your device via CycloAgent and keep your Magellan Cyclo synchronised and up-to-date. In order to improve the stability of data transfer between Cyclo™ devices and MagellanCyclo™, a new software tool has been developed to replace the existing MagellanCyclo desktop application. With this new software tool CycloAgent you will be able to run MagellanCyclo from all browsers, and on both Windows and MAC operating systems. If you have already installed the MagellanCyclo desktop application previously, it is necessary to uninstall this first. Please read more information here about how to uninstall MagellanCyclo, and install the new CycloAgent. If you haven't installed the MagellanCyclo desktop application previously, you can click the "download here" button to get started! In order to enhance the stability of data transfer between Cyclo devices and MagellanCyclo, a new software tool is developed to replace the existing Cyclo Plug-ins. With this new software, you will be able to run MagellanCyclo from all browsers and on both Windows and MAC opertating systems.